It’s lovely to have a friend and fellow writer popping by for a chat today. I’m pleased to welcome Trina Stacey back to my blog to talk about her writing and her inspiration. 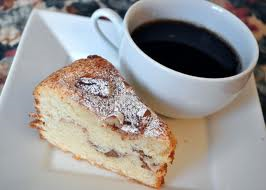 Why not put the kettle on and take a five minute break for a little read? Delighted to have the opportunity for a return visit – Thank you Jenny and a big warm Hello to everyone else too! Well I love spending time with me, if that doesn’t sound too weird?! I like to grab a notebook (or iPad) and reflect upon my thoughts and feelings. If something has occurred, evoked an emotional response and left me feeling off balance, I delve for underlying limiting beliefs that could be lurking, so I can unpick them and choose more supportive perspectives going forward. It’s really self-therapy; I coach myself through my emotional stuff and keep going until I’m out the other side…feeling good again. I don’t want to waste any time stuck in fear-based or limited thinking. I believe that, just like everyone else, I am here for a purpose. I have something of value to share, so it is up to me to deliver on it to the best of my ability unencumbered by my stuff that if left unacknowledged will just keep resurfacing until I do anyway. My poetry has emerged as a result of this journaling activity, taking me by surprise actually. What is this r word you speak of?! No regime here. I do journal most days, but simply when I feel inspired, not even at a regular time of day. My poems appear in waves, I could go months without writing a poem (which can be tricky at my monthly poetry group! ), then out pop 3 in a day. I was taken aback when a children’s story fell out of me recently, one that I aim to get published soon…I’ll keep you posted! It hasn’t always been this way, I used to pride myself on being highly organised, a high achiever, pushing through to get things done – a tick multiple items off a length list type person. A big part of self-discovery for me has been unravelling this way of thinking, learning to trust, pay attention to my energy, doing what I feel inspired to do – rather than what I believe someone like me should be doing. Some may be challenged by this (I used to be too! ), it may sound lazy or whatever, however I find that I end up doing more of what energises me, what I love to do and still somehow manage to get all necessary things done too, just happens more easily and in my time, rather than society’s expectation – which actually varies depending on who you speak to, making it impossible to get right anyway, so I may as well live according to my truth – Yes?! Let’s just say I am whole lot happier now, living with this intent – even though I still get caught up in old patterns now and again, being human and all. It also helps me perform better as a coach, be more present when I write and hopefully am a nicer person to be around too. When you’re present it takes a lot less time and effort to do anything – makes sense doesn’t it? This time I thought I’d give a little more attention to 100 Nuggets of Inspiration, (last time I dropped in I shared a poem from Join the Spiritual Dots). Christmas is rapidly approaching…Yay! So if you’re looking for an uplifting and alternative gift this could be it! 100 Nuggets… contains very short inspirational verses, I’ll let you guess the number! It’s the perfect book to dip into when you need a little boost of positivity or inspiration. See what page it falls open on or pick a number between 1 and 100 and you may get just the message you need. I use this with my coaching and meditation groups and they are regularly amazed by how this works. 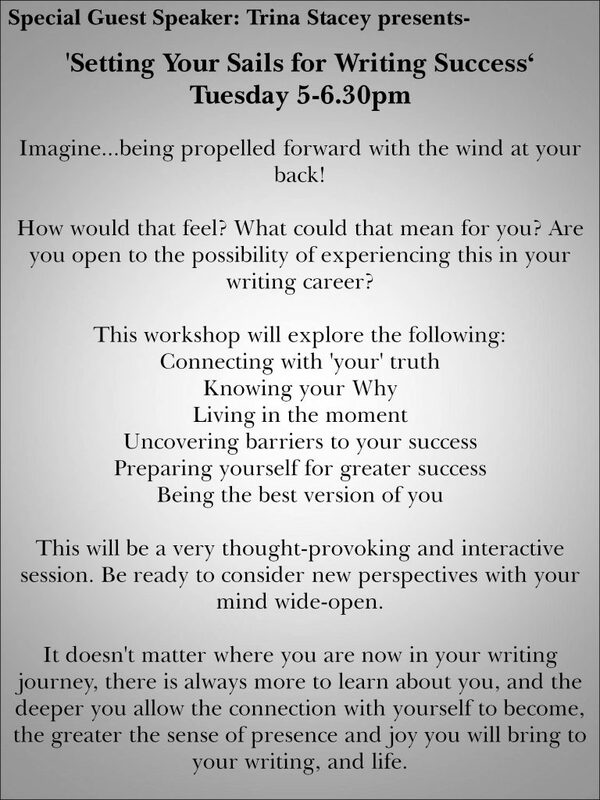 I will be running an interactive and thought-provoking session ‘Setting Your Sails for Writing Success’ to an audience of inspiring writer-types, where we’ll be discussing wonderful topics such as…connecting with your Why, being present, and showing up as the best version of you. How does it get better than that! – Have you booked your place yet? Thank you so much for having me again. 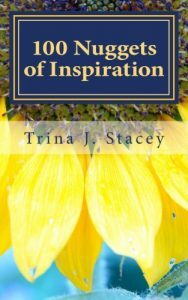 Trina is a poet, author and spiritual coach. 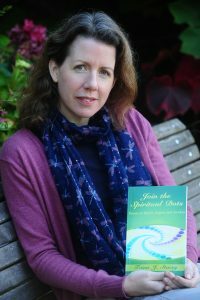 She writes uplifting, inspiring and relatable poetry that is accessible to everyone, and has published three books 100 Nuggets of Inspiration, Join the Spiritual Dots and Join the Spiritual Dots Goes Deeper.